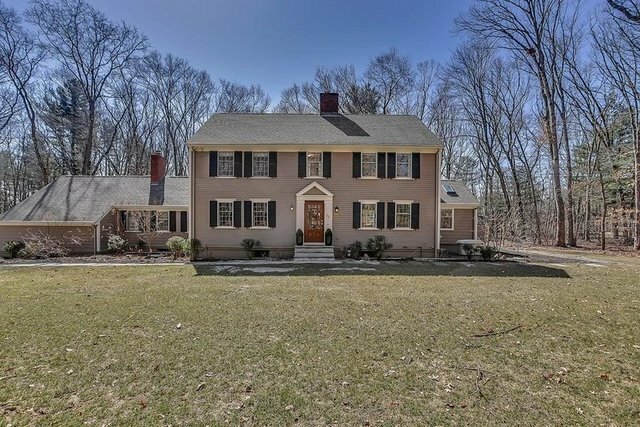 Gorgeous custom renovated center entrance colonial sited on a level, 1.4 acre lot with an open floor plan & many custom features. There is a beautiful foyer, elegant living room with fireplace opens to a generous sized dining room with a wall of windows. Fabulous sun filled custom kitchen with large center island and breakfast area. A spacious family room with fireplace also turns into a home threater. The second floor has four bedrooms with 2 updated full bathrooms. The impressive master suite includes a walk in closet, a gorgeous master bathroom and bonus room or office area. The lower level features a large play room. Beautiful professionally landscaped grounds with mature trees. Located in the Weston Estates neighborhood and close to all major highways.